The first episode in the eight-part documentary series, Cricket Fever: Mumbai Indians (on Netflix) starts with clichéd tropes about India’s passion for cricket, the mad obsession of the fans, how big the sport is — especially in home country, and signature shots of Mumbai city. Fortunately, the show reveals itself for what it is soon enough, with the entry of the Mumbai Indians players, the team’s supporting staff and the Ambani family. The owners of the cricket team infuse the required amount of awe, mystique and energy into this series. Set to release on 1 March worldwide on web streaming service Netflix, the eight-episode docu-series is produced by Condé Nast Entertainment and executive producers Al Edgington, Joe LaBracio, Jeremy Finn, Jamie Stewart and James Maby. 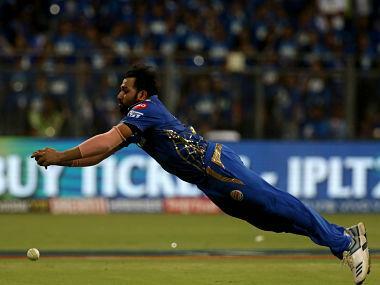 Each 40-minute episode traces the journey of the Indian Premier League (IPL) team — Mumbai Indians — through the 2018 season. It offers an interesting behind-the-scenes view of a hugely popular squad from a hugely popular sports league. The series begins from the player auctions, about 12 weeks before the start of the IPL season in which Mumbai Indians eventually finished fifth. Through the first four episodes, it segues into stories of individual players — from the Pandya brothers to Ishan Kishan, Aditya Tare, Suryakumar Yadav, Jasprit Bumrah, and captain Rohit Sharma among others. If you have seen Koffee with Karan and are wondering about Hardik Pandya, he’s no different and very much in character in this documentary too. The show progresses match-to-match, with the players and support staff in conversation with each other and speaking to the camera — analysing results, bonding and expressing their views. You see what it takes to adjust to a high-profile team — in one sequence, young Kishan gets some sharp words from the trainer after he fools around during a gym session. Shot inside dressing rooms, hotel rooms, conference rooms, through team meetings and net sessions, the camera has tremendous access. Players, while speaking on or off camera, express a personality different from what’s seen publicly — though some are perhaps a bit guarded in front of the camera. For example, Sharma is far more erudite in this series than he is during awkward post-match conversations in front of a stadium audience. Hitherto unseen footage includes a glimpse into the Ambani home, Antilia, considered the most expensive residence in the world, when the players get invited for a team bonding session-turned fun and games. The show manages to bring in the energy of fans and their expectations to a certain extent. Archived match footage is interspersed with fans’ comments and scenes from the streets. The shock of their poor start — MI lost five of their first six matches last season — is palpable. The pressure becomes apparent before their third match, against Delhi Capitals (then Delhi Daredevils), when Nita Ambani augments the players’ stress by mentioning their charity programme, whereby 21,000 children would watch the match that’s "dear to her". Cricket Fever also zooms into the dynamics within the team, levels of confidence and hierarchies. When they lose their second match, against SunRisers Hyderabad, head coach Mahela Jayawardene asks the players for their explanations and only some of the international players — Ben Cutting and Kieron Pollard — respond. Most often, the person with the strongest opinion expressed — in this show — is Windies all-rounder Pollard. Another noteworthy part of the series is the casual conversations between players and coaches. Shane Bond, the bowling coach, is incisive in his comments while Jayawardene is friendly and firm. The final product, though, suffers from some glitches. It’s not always clear whose voice we are listening to, because often we are not shown the name or face of the speaker. It’s assumed that you would be able to recognise the voices of all key participants. It’s also not clear who the audience for this documentary is. If it’s a global viewership, then the film presumes familiarity with cricketing lingo. If it’s for an Indian audience, why does one suddenly require a definition for a yorker? One of the brighter spots in this is Akash Ambani, the young leader of the franchise. The control he exercises over the team, his enthusiasm, and certain goofiness, humanises the team owners. In one candid scene, which occurs after the player auctions, young Ambani bumps into a wall while walking backwards and then proceeds to do a little jig and a song. Based on the first four episodes previewed, the series follows a linear narrative which transitions into brief player profiles. Despite a weak background score and patchy edit in places, there is enough novelty in this to keep you invested. Cricket Fever is not just for Mumbai Indians supporters. It is for anyone who is curious about the daily travails of superstar cricketers.